It's hard to get more ignorant. I was trying to count how many lies could be found in those nine words, and had reached four, with promise of more …"
See The Boehner in living color on Huffington. "...the idea that carbon dioxide is a carcinogen..."
That's because it's a Wingnut Fractal, just like this. "the idea that carbon dioxide is a carcinogen that is harmful to our environment is almost comical." As is an attempt by one Straw-man to set up another. Let's all do the "strawman circle jerk". 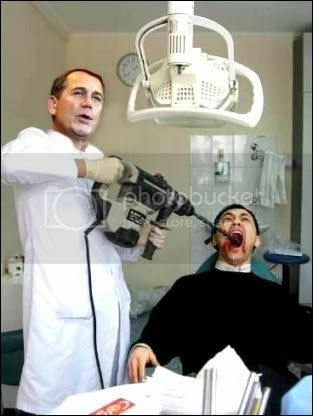 Perhaps the scariest part is that House Speaker Nancy Pelosi is not much smarter than Boehner on most things.